Recognised by the HBIA (Hair and Beauty Industry Association) as an award winning long hair expert in both Red Carpet and Beautiful Brides categories, Megan has been involved with designing long hair and makeup courses for both Swinburne University and Gordon Institute of TAFE as well as private classes for Turnley's and in salon staff training for the past 15 years. Megan is always looking to constantly inspire and encourage her peers while also acknowledging that the industry is changing and evolving. She recognises the importance of training and researching new styles and techniques. 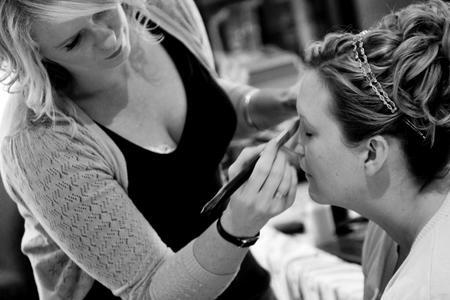 Megan's friendly and relaxed nature ensures her brides feel amazing on their special day. That blonde chick breathes a breath of fresh air into the bridal industry of Geelong, Melbourne and surrounding areas.